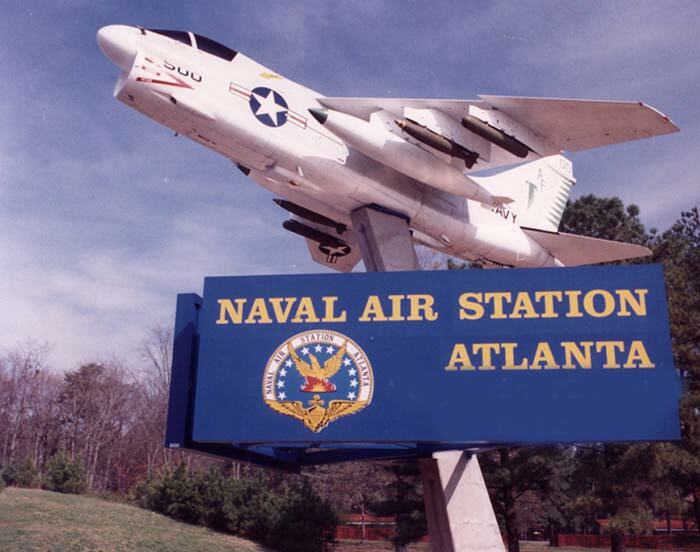 July 1, 1970: Reserve Attack Squadron TWO HUNDRED FIVE (VA-205), was established at Naval Air Station Atlanta, Georgia as part of reorganization designed to increase Naval Air Reserve Force combat readiness. 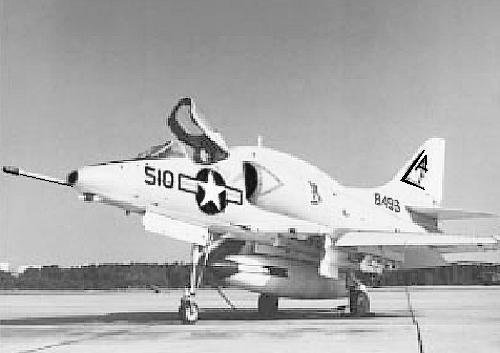 The VA-205 Green Falcons were assigned the Douglas A-4L Skyhawk. 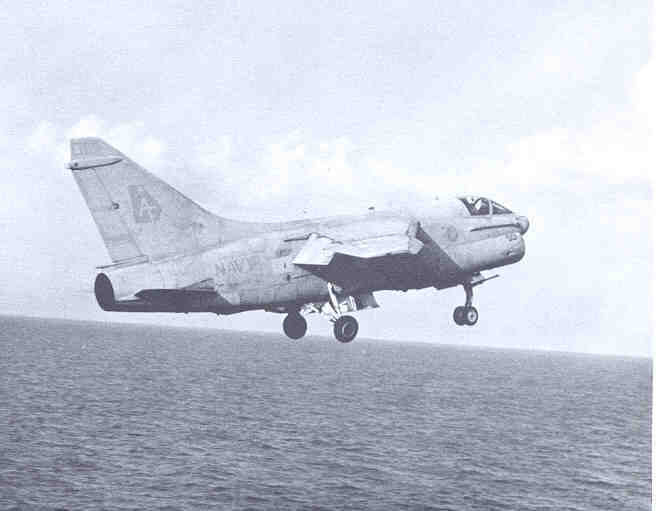 August 1971: The Green Falcons conducted two weeks of active duty training embarked on United States Ship John F. Kennedy (CVA 67) as part of CVWR-20. 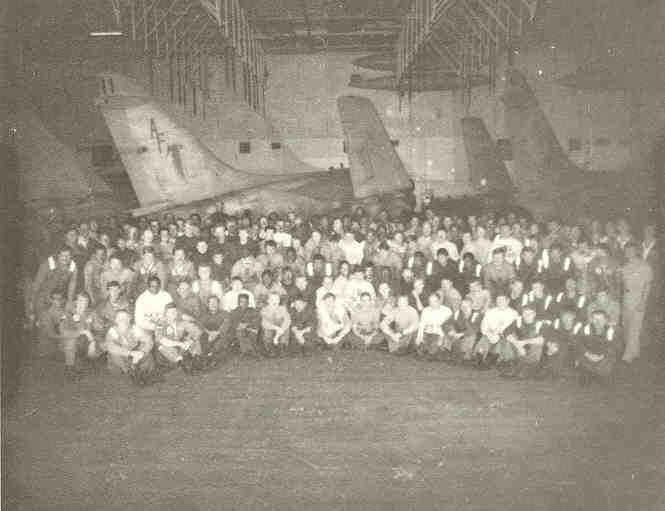 This was the first complete Reserve Carrier Air Wing deployment aboard a carrier. 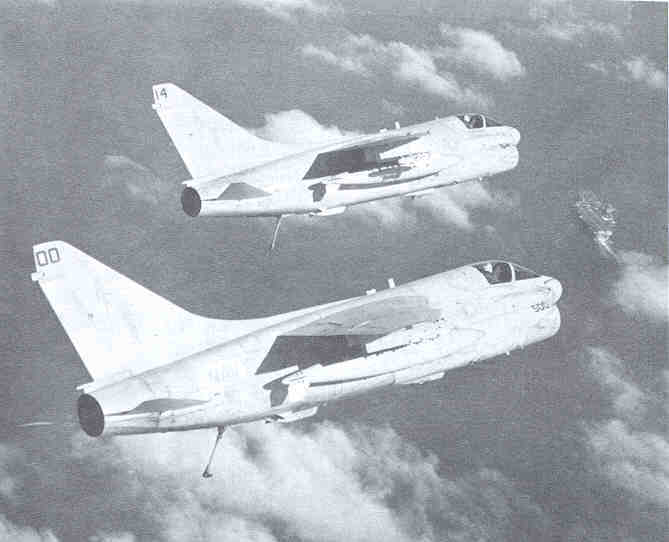 December 31, 1974: VA-205 participated in exercise Exotic Dancer V, designed to test multi-service operations under a unified command organization. 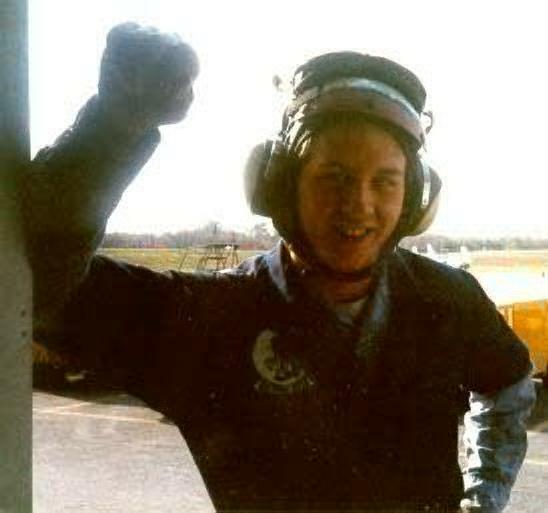 September 4, 1975: Green Falcon pilots began transition training with VA-125 in preparation to receive the A-7 Corsair II. 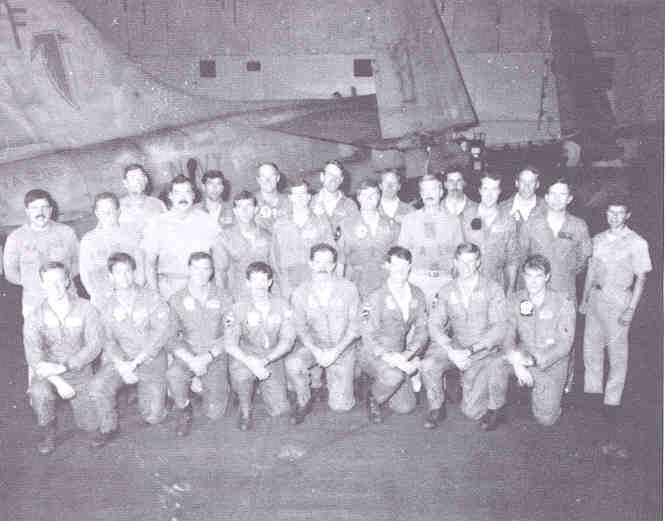 July 6-16, 1982: VA-205, along with other units of CVWR-20, participated in operations on USS Carl Vinson (CVN 70), with the emphasis on coordinated air wing operations. 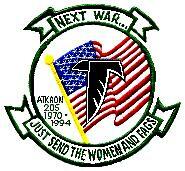 May 10-23, 1986: During an annual active duty deployment to Naval Air Station Fallon, Nevada the Green Falcons participated in close air support training, air wing strike evolutions, and an excellent simulated two day war exercise conducted by Strike University. 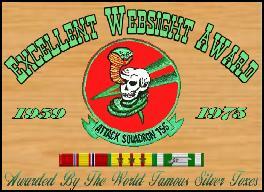 July 24-August 6 1989: Deployed aboard the USS Eisenhower with CVWR-20. 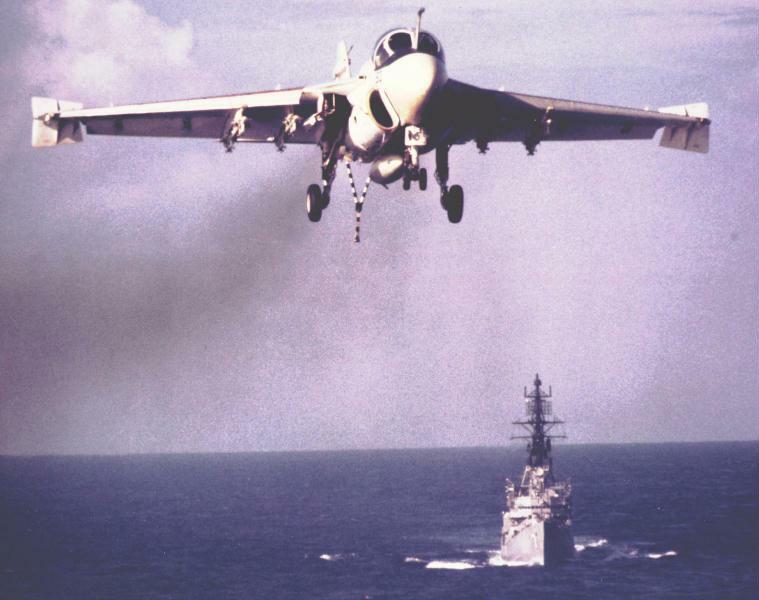 November 9, 1989: A7E II piloted by LCDR Robert Conlyn, Jr., was preparing to land when it crashed into the Pine Village North apartment complex in Smyrna, Ga. Conlyn, call sign Cougar, stayed with the aircraft until the last possible moment. Conlyn suffered serious injuries but survived. October 1, 1993: VA-205 assumed the additional mission (Fleet Support Readiness Group, FTRG) of providing electronic support to simulate missile attacks on surface ships for training purposes. This mission had previously been performed by VAQ-33 (Carrier Tactical Electronics Warfare Squadron-33). 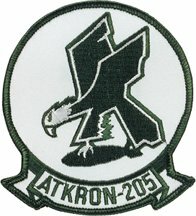 December 31, 1994: Reserve Attack Squadron TWO HUNDRED FIVE (VA-205) was disestablished at Naval Air Station Atlanta, Georgia.